PORT WASHINGTON, NEW YORK, MARCH 26, 2010 – Even though the iPad doesn’t officially become available for another week, awareness is strong among certain key demographic groups, according to a new report by leading market research company The NPD Group. NPD’s Apple iPad: Consumers’ Perceptions and Attitudes report found that awareness is highest among current Apple owners, (82 per cent), consumers with $100,000 or greater income (80 per cent), and 18-34 year olds (78 per cent). Those demographic groups are the ones with the most interest in buying an iPad. Only 18 per cent of all consumers surveyed expressed a real interest in owning an iPad while 27 per cent of 18-34 year olds and 24 per cent of Apple owners said they were extremely or very interested. One of the main reasons Apple owners are interested in the iPad is because it’s an Apple product. 30-seven per cent cited “liking the Apple brand” as a top reason for their interest in the iPad. That tied with “multi-touch screen”, which was also the number one reason driving interest among 18-34 year olds. The 18-34 year old consumer is also the most likely to play music and access the internet on the iPad. For some consumers, and even among Apple owners, the prospect of spending $500 or more for a new device that doesn’t yet have a clear advantage over their other primary devices is unappetizing. Among the tech-savvy 18-34 year old demographic, 57 per cent cited price as the number one reason they aren’t ready to buy; that’s 25 per cent more than the overall percentage of non-interested buyers. 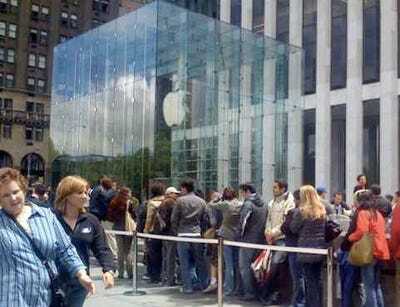 Among Apple owners, 43 per cent felt that the pricing was too expensive. 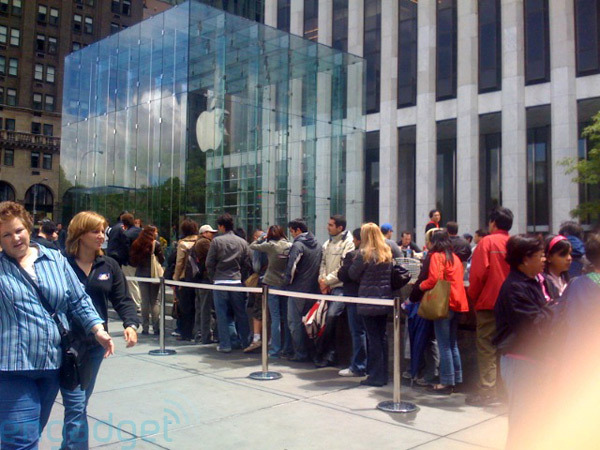 But it’s not the price tag alone that’s making the iPad seem too expensive to these non-interested buyers. The other factor is that they are equating the iPad to a notebook or netbook replacement. Among 18-34 year olds and current Apple product owners “rather use a notebook or netbook instead” was cited by 51 per cent and 44 per cent respectively of those demographics as a reason not to buy. Even those key demographics who expressed the most interest in the iPad aren’t making a strong commitment to purchase an iPad in the near future and that mirrors what overall consumers are saying. When asked what the likelihood of purchasing an iPad in the next six months was, 9 per cent of all consumers surveyed said they were “extremely or very likely” to do so, as did 10 per cent of 18-34 years olds and 9 per cent of Apple owners. But there were a greater number of consumers who were “not very likely” or “not likely at all” to purchase an iPad in the next six months. 60-six per cent of both the all consumers surveyed and 18-34 year olds don’t foresee an iPad purchase in their future, and 60 per cent of Apple owners felt the same way. Approximately 2,000 consumers age 18 and older from NPD’s online panel participated in this survey from February 24 through March 3, 2010.